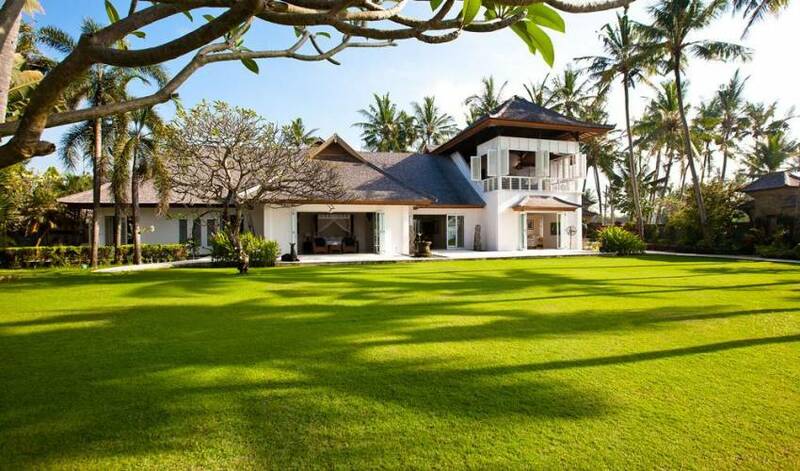 Luxuries colonial style residence. Ocean view master bedroom + 5 garden view bedrooms, each with its own en-suite. 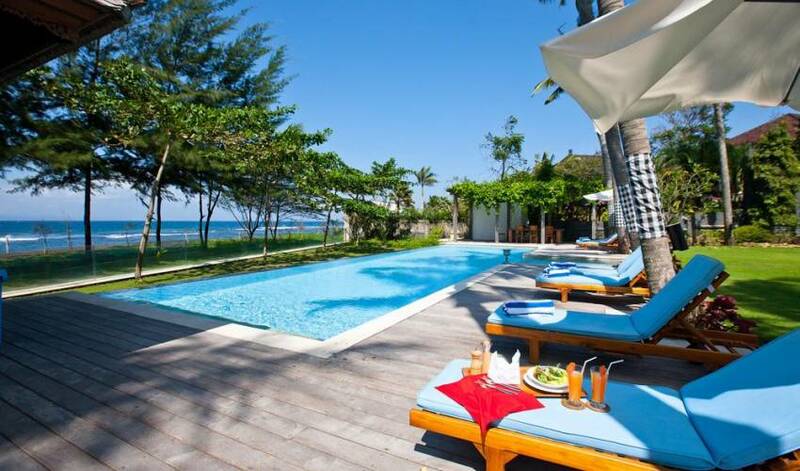 Large beach side swimming pool with Jacuzzi area and wooden deck with umbrellas, sun beds, pool side bale gazebo and breakfast / dining terrace. Roof top antique style bale with bar and TV area. State of the art kitchen led by professional chef. Media room with extensive DVD library (more than 2.000 titles) and pool table. Very well maintained garden with koi ponds and water features. Kid’s playground. Separate antique Joglo style private SPA pavilion. Wireless Internet. Car with driver. 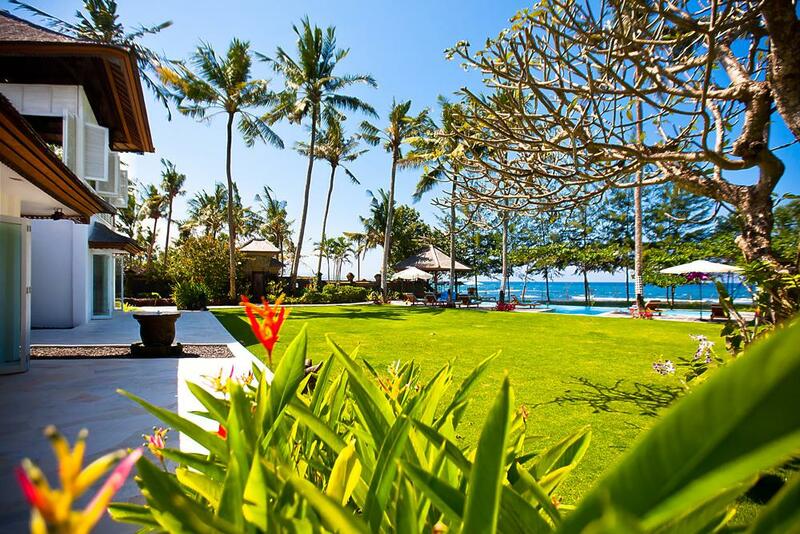 Bali’s most magical and private haven Villa 3528 is nestled absolute beachfront on the eastern coast of the Island of the Gods. 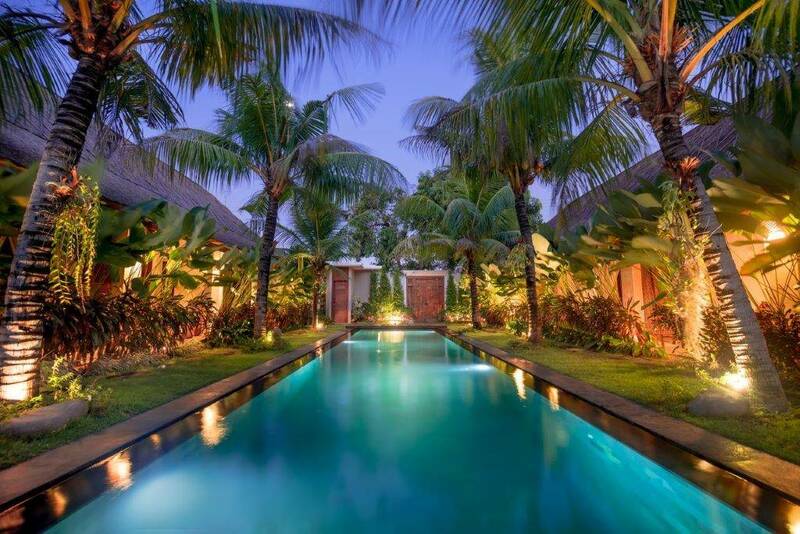 Let the fresh gentle breezes that skim the Indian Ocean wash over you and rejuvenate your entire body and soul as you immerse yourself in the exotic and unique luxury that is Villa 3528. 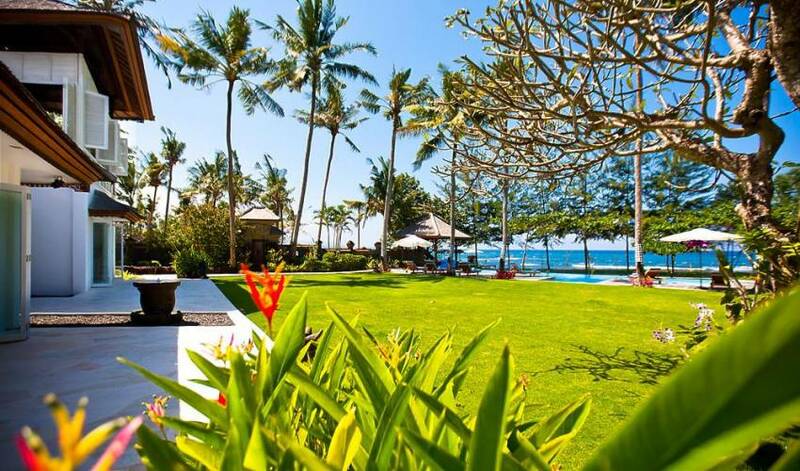 Create unforgettable and beautiful memories with your selected family and friends away from the tourism throngs and let us add that special Balinese magic as we take care of every detail. 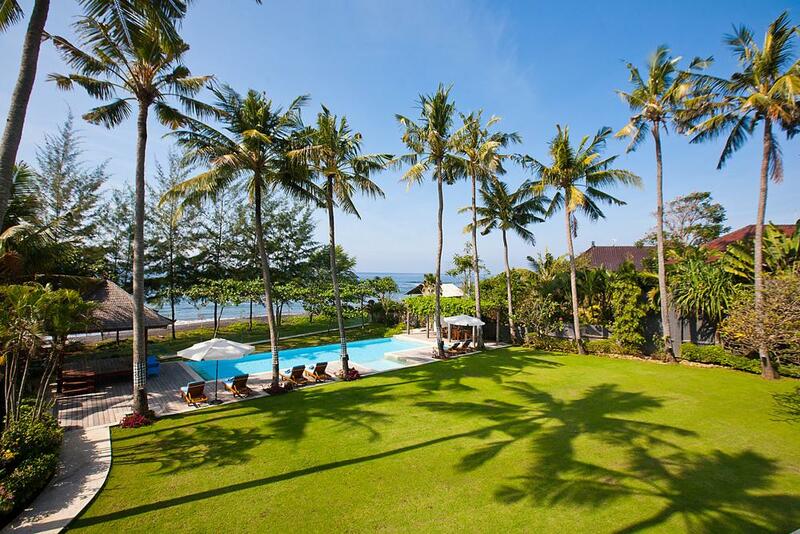 Villa 3528 is a private plantation style mansion enjoying absolute beach front in Cucukan, a small fishing village across the road from the Bali Safari & Marine Park. 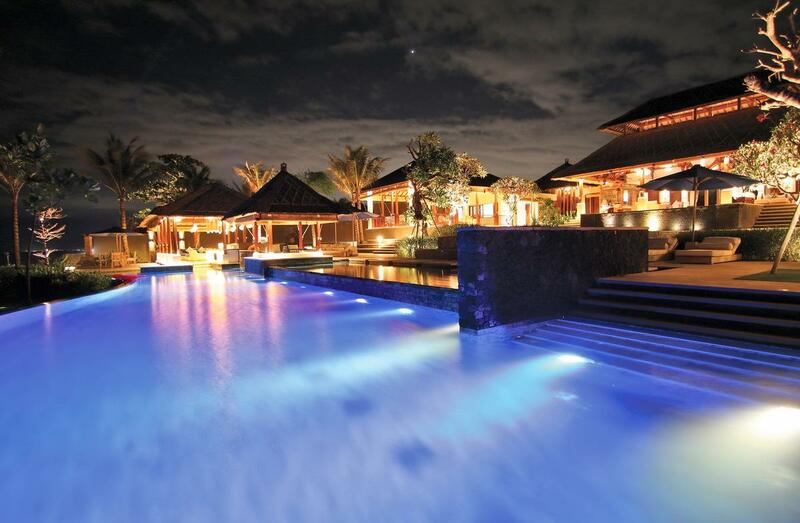 The main house is over 1200m2 with the spa and outbuildings adding another 500 m2. The property is surrounded by 5000m² of manicured gardens and lawns with several water features including a reflection pond. Building layout has large entertaining areas, generous bedrooms, magnificent bathrooms, a vogue style Chefs’ kitchen, a banquet size dining room (seats 24), sitting rooms, meet & greet areas. 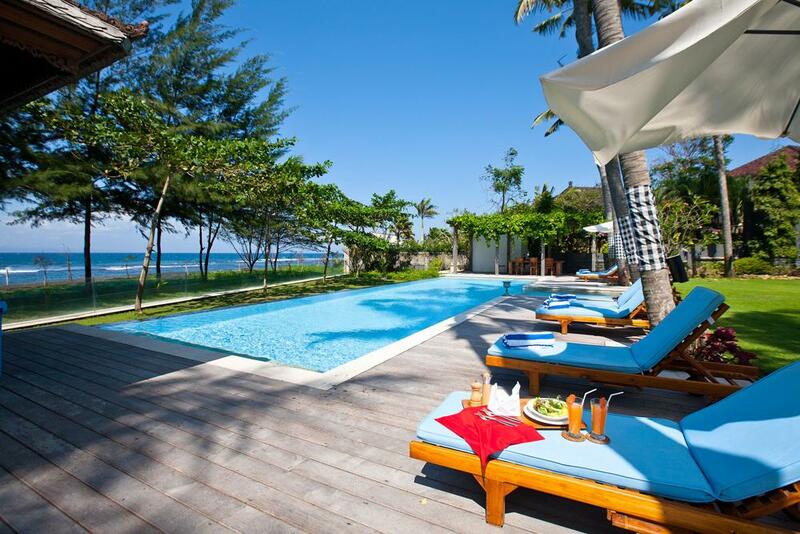 Villa 3528 can accommodate up to fourteen adults and eight children, with master bedroom in the main building, large private en-suites, and all with stunning garden or ocean outlook. The villa has been built to make the most of the cross ocean breezes and its spacious layout mean you may not come across another person for days. Bedroom wing bathrooms are a large six meters * three meters size, with ease of access for in-room SPA treatments. The Master Suite of Villa 3528 is the luxurious enormous suite on the ground floor with a massive bathroom which includes a separate SPA area, overlooking the magnificent lawn, swimming pool and ocean. Large louver doors can be open to allow the cool ocean breezes to wash over you as you relax, or sit in air conditioned comfort at your pleasure. 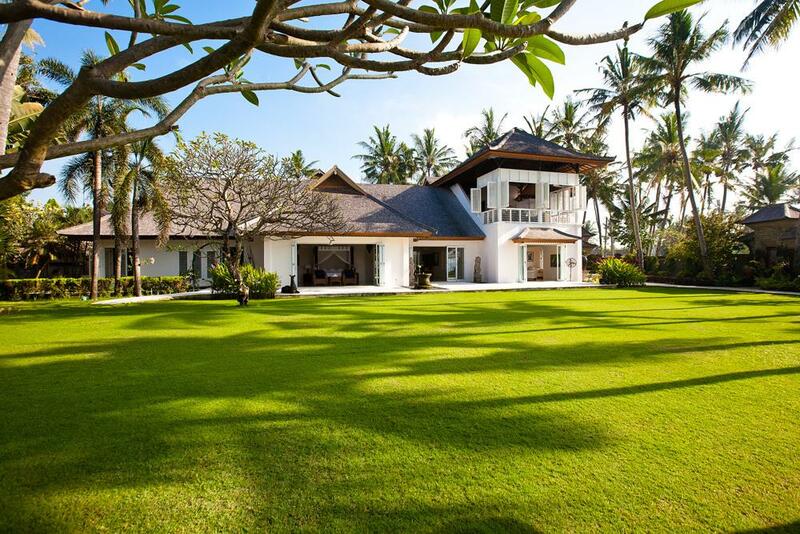 Villa 3528 evokes calm and rejuvenation amidst an exotic and tranquil garden, trickling water features and fresh sea air. Each individual area has been designed to incorporate the beautiful grounds and ocean that surround it, bringing the outside indoors and fully complementing the combination of luxury, privacy and peace that the villa represents. The formal entrance to the villa is lined with display cabinets filled with a collection of interesting curios and unique artwork. From the entrance guests proceed to the sitting room where they can chill and relax in comfortable lounges with floor to ceiling sliding doors opening onto the patio, manicured lawn, swimming pool and beach beyond. The breeze will flow through to the windows overlooking the orchids greenery and trickling water feature. Adjacent to sitting room lays formal dining room with the stunning solid wood dining table that seats 24 with the room opening up to the patio, manicured lawn, pool and ocean. Next is the entertainment room that offers a spacious gaming area with full sized billiard table, massive flat screen LED television, extensive collection of DVDs and book library to entertain the child in all of us. There is a plenty of space in 5.000 m2 garden that surrounds the main building. Outdoor facilities include dedicated children activity area and two of fish ponds with exotic Koi fish, Catfish and tortoises. The beautiful Buddha overlooks the Reflection Pool while the trickling flow of the water feature gives you a perfect focus for meditation and relaxation. 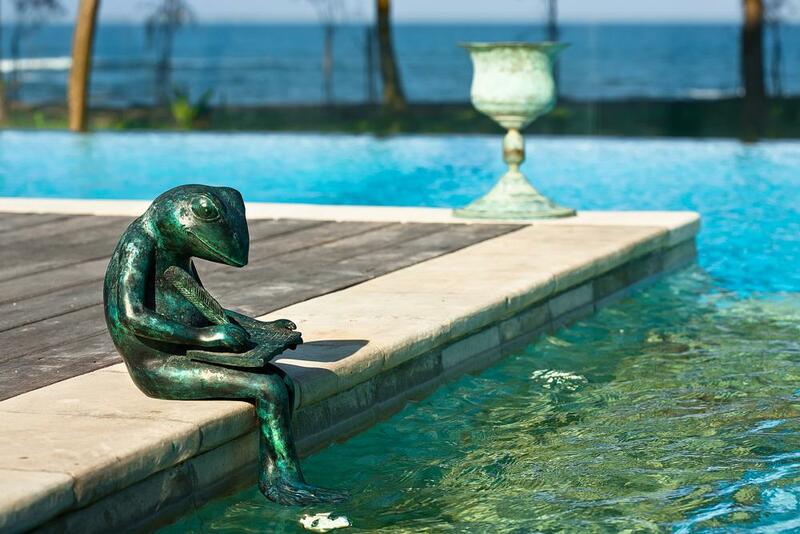 Melt into the cushioned chaise lounge in the poolside Bale, read a book or be hypnotized by the ocean, or have evening cocktails or dinner at the table that seats ten under the vine covered trellis, and the Bali night sky. 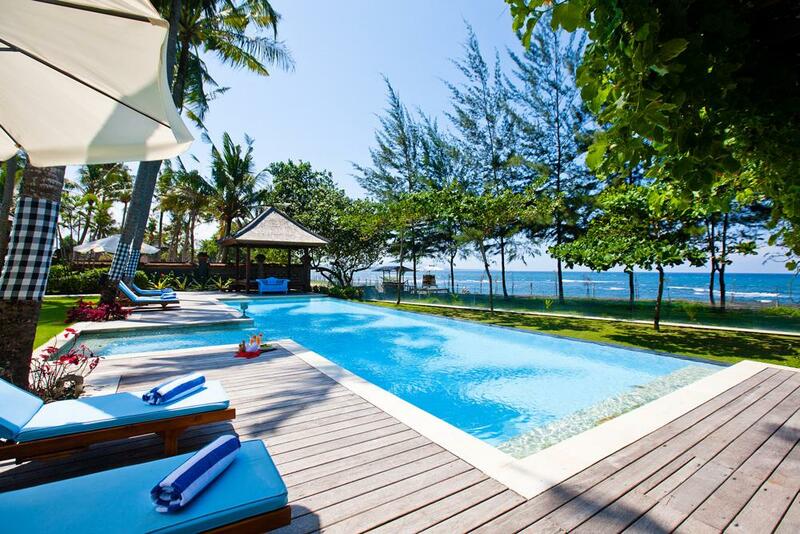 Manicured lawns lead to the 16 * 5 meters beachside swimming pool and adjoining Jacuzzi. 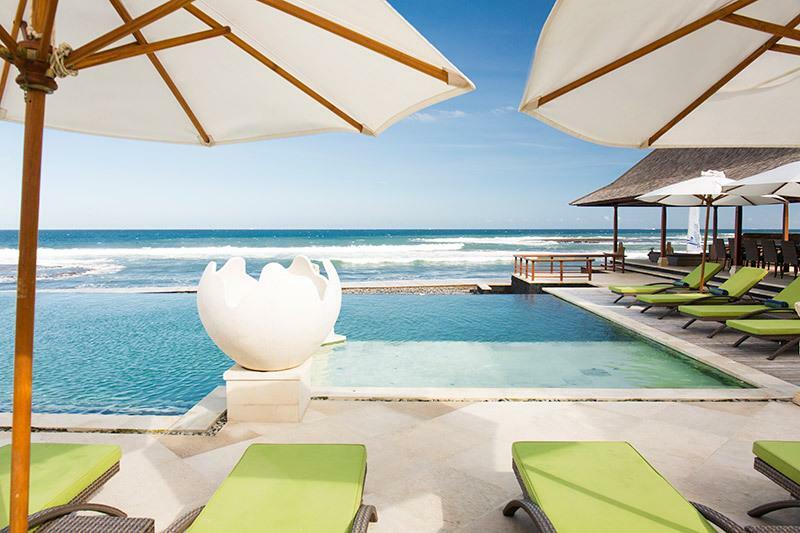 Float in the pool while watching the wave’s crash on the sand, or simply lie on the outdoor sun beds or bean bags and read your favorite book in the shade of staring into the sky coconut trees. Providing Villa 3528 guests with the best care and service takes well trained staff. Our warm and friendly staff live on-site with their separate personal quarters located at the rear of the property. Separate street entry parking for a total of eight cars is available as well. 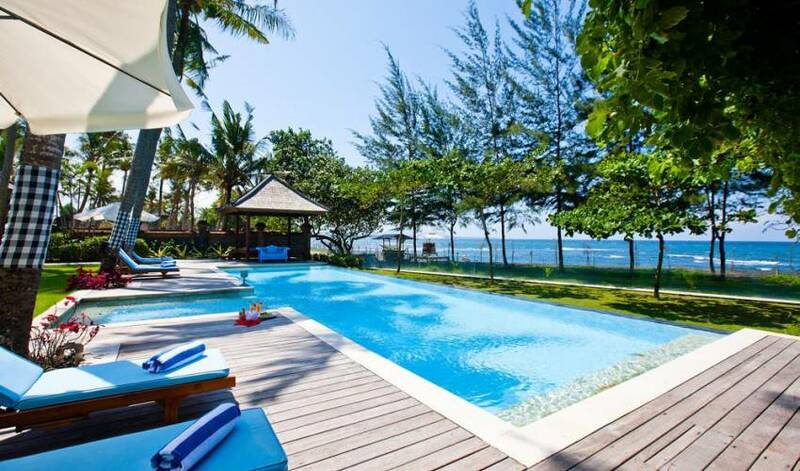 Villa 3528 is located on the East coast of Bali away from the maddening tourist crowds within Cucukan Village in the Gianyar District. 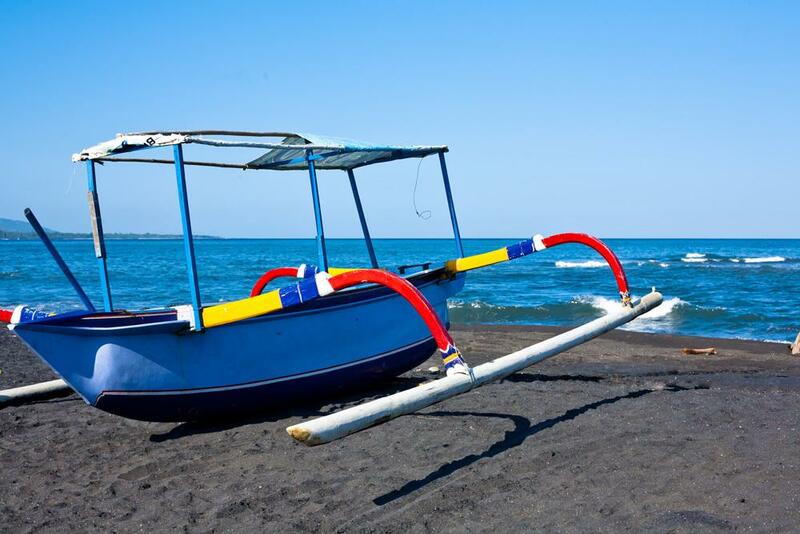 Experience the real Bali as you stroll the beach steps away from the villa’s lush lawn, and mingle with the local villagers as they go about their day to day lives. 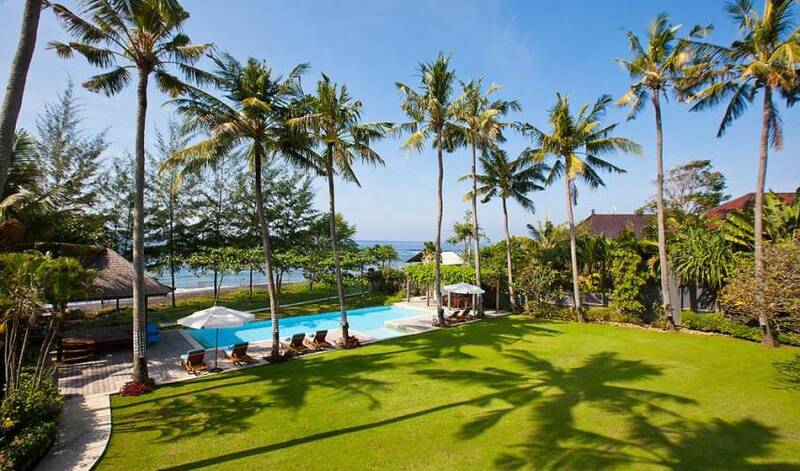 Only twenty minutes drive to the nearby hills is the cultural artistic centre of Bali: Ubud. Across the road from the village is the Bali Safari & Marine Park, a beautiful journey into the wild kingdom in a jungle like environment, with important ecological messages combined with old Balinese stories. Bali Zoo and the two Elephant Safari Parks are a short drive away. If adrenalin is your master then you’ll love white water rafting or the off road quad bike tours. 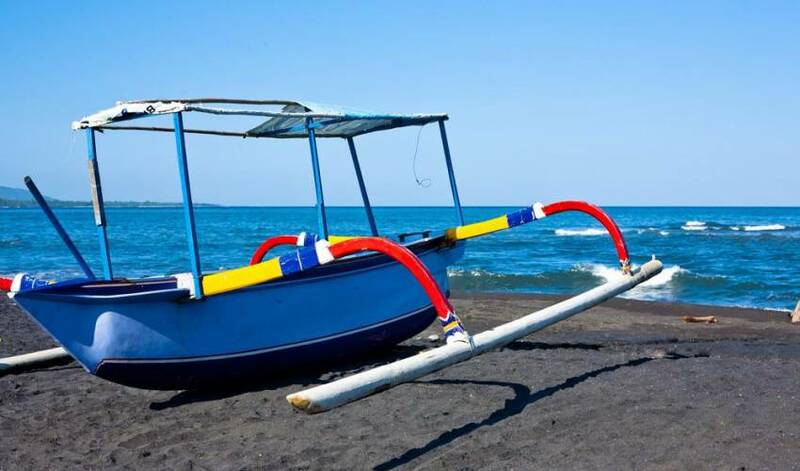 Mount Agung, an active volcano that towers over the Island of the Gods and visible from the villa, is accessible by car, and tours to witness the first touching of the sun on the island from the peak, can be arranged. Just 15 minutes away is the legendary Sukawati Market where the locals shop. A vast array of woven baskets, ceremonial items, paintings, hand painted cloth and wood carvings will keep you busy as you bargain with the locals and find your own personal keepsake to treasure. experienced cook. Meal type: the Guests will pay for the Groceries by the bill with 25% service and delivery surcharge, extensive Menu available at the villa. Every private request can be negotiable with the Chef. Staff sometimes need a time to go for shopping and prior order appreciated. Villagers usually bring fresh fish & seafood to the villa in the morning and guests can choose whatever they want to purchase and how they would like it to be cooked.